While banks are popularising the use of Rupay debit card in coordination with National Payment Corporation of India (NPCI), the non-financial intermediaries are also joining the fray to inculcate the culture of use of e-money through mobile wallets across India. Despite intense thrust by banks to sell their electronic payment products such as debit cards, credit cards, remittances products and transfer of funds through NEFT/RTGS/IMPS, non-bank entities are fast occupying the payment space. While banks are popularizing the use of Rupay debit card in coordination with National Payment Corporation of India (NPCI), the non-financial intermediaries are also joining to improve the culture of use of e-money through mobiles even in the hinterland. One of the limitations is that the use of debit card in rural centres is still confined to drawing cash from ATMs. Merchant led activities are still at nascent stage. But a silent revolution in payment space could be seen from the activities of payment system operators. 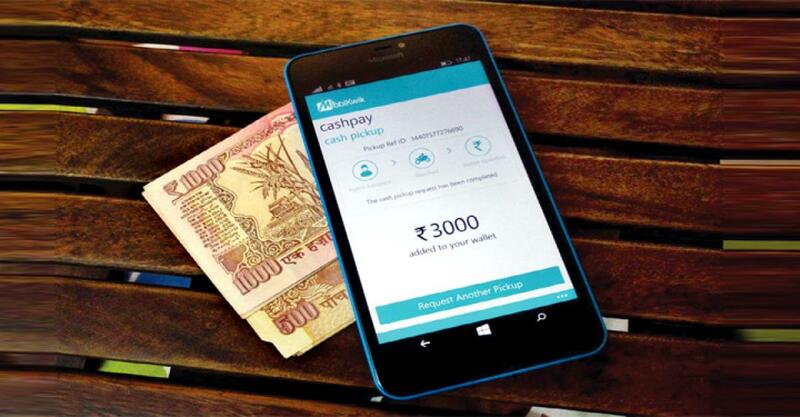 The competition is getting fierce even before payment banks make foray into the banking space. Certificates of Authorization are issued to such entities by Reserve Bank of India (RBI) under the Payment and Settlement Systems Act - 2007 for setting up and operating payment system in India. They have started entering the payment and settlement system in the remittances space. The Payment and Settlement Systems Act, 2007 along with the Board for Regulation and Supervision of Payment and Settlement Systems Regulations - 2008 have come into effect from August 12, 2008. So far, about 70 'Payment System Operators’ have been authorized by RBI to set up and operate payment systems in India. As a result, mobile wallets (MWs) (mobile based card-less mode of payment) are making faster inroads into remittance space. The device allows customers to make retail payments of as less as even Rs 10 which does not happen in banks as of now. MW is a pre-paid financial Instrument (PPI), which allows its customers to store money in a ‘virtual wallet’. Money kept in PPIs remains in an escrow account of wallet service provider with a bank earning interest income. As and when funds are used up, the balance comes down and fresh funds come in as and when customers replenish. Thus, the money of the customers which should otherwise remain with the banks (mostly in savings) now gets passed on to the PPIs. The core needs of customers are fundamentally moving money. Remittances are the first, then savings, credit and insurance. Though banks continue to be major player, a revolution is taking place in remittances business that can hurt the fee income of the bank in future. There are three types of MWs. (i) It is the ‘Closed wallet’, which is called so because the money stored in it can be withdrawn at an ATM or can be used for settlement of transactions at the merchant establishments. Only banks are allowed to issue such a wallet. (ii) A semi-closed wallet allows payments to be made through wallets with participating merchants – like Vodafone’s m-pesa in collaboration with ICICI Bank. Axis bank’s LIME is also in the same league. Money in this segment is not allowed to be withdrawn at ATMs. Paytm, Mobikwik and Freecharge belong to this segment. In order to compete with them, SBI Buddy and ICICI Pockets are some of the MWs launched by premier banks. (iii) Closed wallet allow for payment only at issuing company’s platform and money cannot be added to it. Ola Money, Jabong, Makemytrip, flipcart etc fall in this category. Such funds come from the ‘cash back’ offers or refund money to be used up only with the e-commerce entity. Non bank entities are more active in MWs. The transactions in MWs are catching up fast. The turnover through MWs now stands at Rs 350 crore which is expected to scale up soon. Among many players, Paytm has a subscriber base of 100 million, Mobikwik 25 million and Citrus Pay has 17.5 million with many more in fray. The average ticket size of transactions of MW ranges between Rs 50 to Rs 400 to meet largely the utility payments of its customers. About 200000 merchant establishments are now accepting MW payment mode. These MW service providers usually increase the stickiness by offering cash backs and discounts so that repeat customers can be acquired. It is a transaction led and not float led business model. There are 21 million credit cards and 400 million debit cards in use now but MWs are fast chasing them to occupy retail segment of remittance space. With MWs becoming more active even in rural and semiurban centres, the surge in transactions can be expected. The limitations of technology literacy need to be addressed so that small value transactions can be routed through them. The development of MWs will have impact on banks in many ways. Banks in future can be perceived (i) Depletion in remittances and fee income (ii) Dip in savings deposits as resources (deposits) will move to PPIs. (iii) As a result, cost of deposits may go up (iv) Cross selling opportunities of banks may get impacted. (iv) Bank positioning in the financial markets may get altered. (v) Profitability may also eventually get impacted. Therefore banks will have to reinvent more efficient ways and spruce its internal competencies to compete with the new entrants in the market. Collaborating with them to derive the synergy could be another strategy to compete. The transformation in remittances space is so fast that the line of business of electronic funds transfers in banks may move to new MWs in addition to the threat of depletion in fee income. Banks may have to join the race of MWs.